Serge Normant’s anti-aging skin care focus is on revitalizing damaged hair and scalp, and creating beauty and volume using natural ingredients. 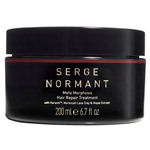 Think of Serge Normant as anti-aging skin care therapy for the hair. For hair that has become dry, is over-processed and brittle, there is Serge Normant Meta Morphosis Deep Treatment withKeravis.Keravis is made up of vegetable protein ingredients that strengthen and literally feed your hair cuticles in order to make it more silky and manageable. 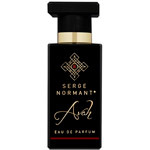 DrSkinSpa.com is an Authorized Retailer of Serge Normant. All Products are Guaranteed Authentic & Fresh. 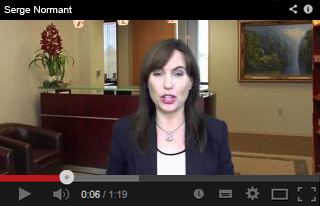 There are products for anti aging that can do wonders for us in many different ways.Just think of all the anti aging skin care product remedies, and tonics for our internal bodily functions that are out there. 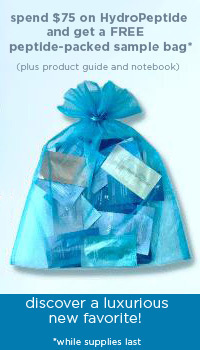 What we don’t often realize, however, is that as your body and your skin ages, so does your hair.You will begin to notice, as the years whip on by, that your once -lustrous hair is becoming more and more dry, more flyaway, brittle and dull looking.It’s all part and parcel of the aging process. Yet you can defeat these signs of aging hair and revive your tresses to their glorious youth once again with the appropriate anti ageing product. Enter Serge Normant hair products for anti aging results.Serge Normant is one of the beauty industry’s leading hair stylists.He has performed his hair magic on some of the world’s most gorgeous and famous women around today.Think of Julia Roberts, Cindy Crawford, and Sarah Jessica Parker.Serge Normant has transformed their look (amongst many other stars’ looks). He’s also worked on red carpet and catwalk fashion designs for hair and has been the Svengali behind many of the top fashion magazine covers such as Elle, Vogue, and Harper’s Bazaar. 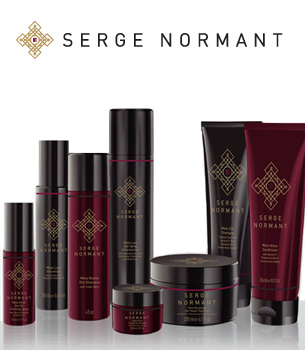 Serge Normant’s anti aging skin care focus is on revitalizing damaged hair and scalp, and creating beauty and volume using natural, ingredients.Think of Serge Normant as anti aging skin care therapy for the hair. For hair that has become dry, is over processed, and brittle, there is Serge Normant Meta Morphosis Deep Treatment.This anti ageing product provides deep strengthening therapy for your hair using natural ingredients that are effective yet gentle on your fragile strands.What is the secret to Serge Normant’s wondrous results on damaged hair?The answer lies in a new biotechnological advance known as Keravis.Keravis is made up of vegetable protein ingredients that strengthen and literally feed your hair cuticles in order to make it more silky and manageable. The Meta Morphosis Deep Treatment contains Moroccan Lava Clay, an ancient beauty secret for anti aging skin care.This is clay that’s rich in magnesium, iron, silica, calcium, sodium and potassium.These helpful anti ageing product ingredients help to feed and rebuild damaged cells in the hair and the scalp, relieving itching due to dryness. The Cedar Bark Extract used by Serge Normant comes from the Atlas mountain ranges of Morocco and is a great natural anti ageing product additive.It works hand in hand with a cactus extract to cleanse, clarify and bring your hair back to life from its roots to its very ends. Products for anti aging from Serge Normant are found in the Revive Dry Shampoo also.This shine-inducing finishing spray works to control frizz.It’s made with natural botanical oils, vitamins and proteins. Some of the most effective products for anti aging contain these same vitamins used in Serge Normant Revive Dry Shampoo, namely vitamins A, C, and E and Pro Vitamin B5.Texture is added to the hair without any extra, unwanted oiliness. DrSkinSpa was fantastic. I had issues with delivery with their product (not their fault) and they immediately responded in a positive, fast way. Very much appreciated! Product arrived exactly as promoted....Thank you!